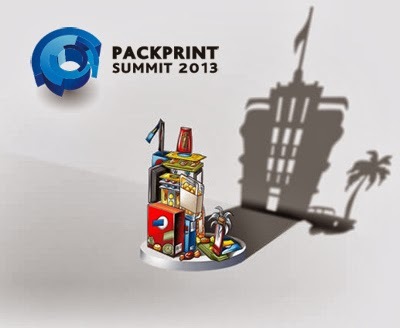 Delegates and exhibitors attending the first ever Packprint Summit Americas held in Miami last week have praised the event, which was hosted at the JW Marriott Marquis Miami Hotel by the Labelexpo Global Series. The two-day conference and table top exhibition was attended by 212 delegates, which included many senior representatives from the North and Latin American label and package printing industry. Highlights from the first day included Evelio Mattos’s presentation on the new realities of package design. Creative director of leading agency Design Packaging, Mattos gave the audience a unique look at the current global design trends in structure, materials and specialty processes by sharing client case studies of some of the luxury brands he has worked with including fashion house Juicy Couture and Chateau Ste Michelle Wines. Sarah Goldthwait of Powerful Yogurt also gave a powerful insight into how to create and execute new opportunities in brand development and positioning. Goldthwait told the story of the successful strategy behind Powerful Yogurt’s US launch in March 2013 and talked about the importance and value of using the product along with its packaging and labeling to target, engage and sell to a new market. Day two saw the focus turn to the latest technologies, capabilities and applications. Jerry Henson, sales manager at Mark Andy gave the keynote presentation and explored how new mid-web flexo technology can lower overall costs and how streamlining printing work can increase productivity and revenue. Mark Andy also exclusively announced inline solventless lamination capability for its VersaMax series presses designed for flexible package printing. Chris Baker, vice president, sales and business development at Highcon investigated the new developments available in short run finishing for folding cartons. As well as giving a summarized view of the new finishing techniques suitable for production efficiency, Baker also compared the features and benefits of in line, off-line, conventional and digital. One of three panel discussions to take place during Packprint Summit Americas, the printer panel discussion on day two was also well received with the printing requirements of flexibles, cartons and labels reviewed. The panelists: Tom Zumbiel of Zumbiel Packaging, Paul Browning of Palmas Printing and Multi Packaging Solutions’ John Côté deliberated the challenges facing them and fellow converters and gave their tips for differentiating yourself from the competition. Aimed at printers/converters of labels, flexible packaging and cartons, brand owners, and designers, delegates also benefitted from ample networking time with a private cruise around the South Florida harbour. Jesper Jorgensen, global sales manager, Nilpeter: “At Packprint Summit Americas in Miami, the Nilpeter team presented advanced packaging solutions in flexo and offset, and prime label solutions with the latest high-end flexo technologies. Labelexpo hosted this great event which we used as a gateway to gathering additional information on a labeling industry in transition. We experienced extensive knowledge sharing with co-vendors, presenters and panel speakers at the conference. The event was well organized with a clear, focused target. We got a clear vision of the industry transformation in progress, and trust that extensive promotion of the event will attract more people from the packaging industry in the future." System Label has recently installed a new Roland SOLJET PRO4 XF-640 wide format printer at its Ireland headquarters in Roscommon. The new machine, ordered from authorised Roland dealer, Neopost, has joined a growing family of Roland printers at the company, including a SOLJET XC-540 and a VersaCAMM SP-300V printer/cutter, and has already gained the respect and admiration of company director, Alan Beirne. 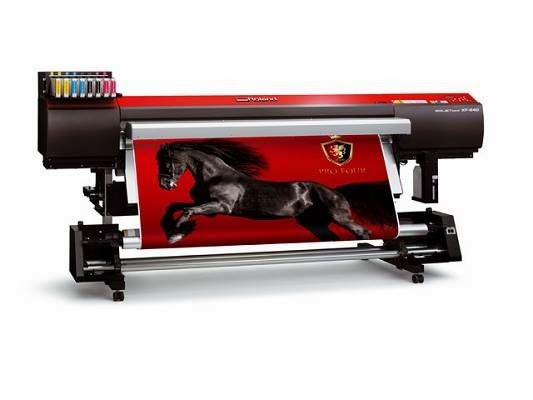 The Roland XF-640 is the company’s fastest wide format printer to date and has been dubbed ‘the beast’. It incorporates a host of advanced features for high quality, CMYK imaging at a maximum print speed of 102m²/hr. Designed for both durable and stunning outdoor and indoor applications, the XF-640 is the ideal production tool for signs, banners, vehicle wraps, window graphics, POP displays, exhibition show graphics, posters, labels and more. Roland’s newest eco-solvent inks, ECO-SOL MAX2, offer an expanded colour gamut as well as fast drying times to boost production. National Geographic December 2012 issue, printed in Martinsburg, W.Va.
Victoria's Secret Christmas Dreams catalog, printed in Augusta, Ga.
Fingerhut Holiday Big Book, printed in Lomira, Wis.
Las Vegas Convention and Visitor Guide, printed in Fernley, Nev.
"The Golden Cylinder Awards represent the best of the best in gravure printing and we are delighted with these awards, which affirm the quality work we produce throughout our network of gravure facilities," said Joel Quadracci, Chairman, President & CEO of Quad/Graphics. "Gravure printing is a science -- one that our gravure plant teams have mastered. 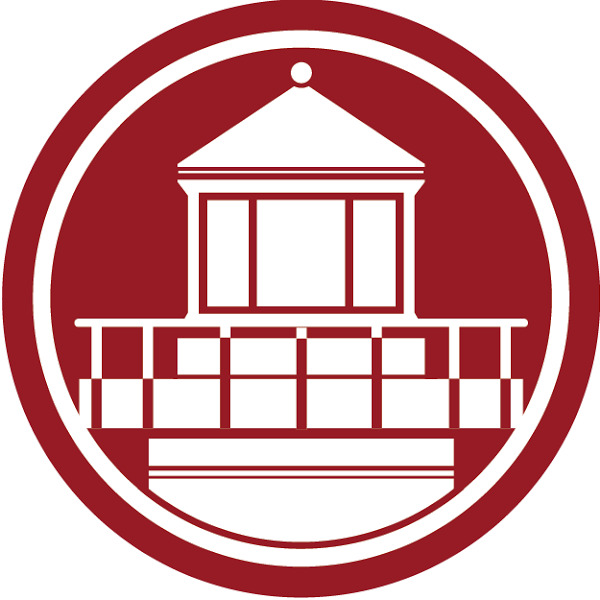 We take great pride in meeting and exceeding our clients’ expectations, and we share this recognition with our valued clients." The winning entries were recognized at the Golden Cylinder Awards event November 19 during the annual Gravure Publishing and Premedia Conference in Naples, Fla. 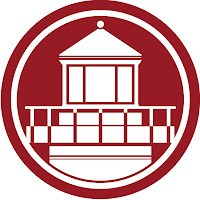 The Gravure Association of America conducts the Annual Golden Cylinder Awards Competition to promote the gravure printing process and to provide peer recognition for technical achievement. A panel of expert judges, selected from the gravure industry and including designers, educators and publishers, spent two days in Rochester, N.Y., last May judging the gravure industry’s best offerings and products from around the world. Print products are in growing demand in the emerging markets and developing countries of the MENA (Middle East & North Africa) region. For one thing, there are more consumer goods to be labeled and packaged. For another, there is a need for all kinds of advertising materials in the private sector and for security printing for documents and securities in the public sector. As a result, print shops in these markets are increasingly investing in cutting-edge technologies. While the printing sector in industrialized nations is being shaped by growing consolidation and lean, efficient production, the MENA region offers growth potential as a result of the new print shops being set up there. Heidelberger Druckmaschinen AG (Heidelberg) has been active in this region for over 50 years. It now has independent agencies in all the various countries and a subsidiary in both Saudi Arabia and the Gulf region. There are over 400 Heidelberg specialists working in the MENA region, over half of them in service-based roles. Thanks to its knowledge of the market and a portfolio that covers everything from prepress, press, and postpress to training opportunities at the Print Media Academy (PMA) in the Egyptian capital Cairo, Heidelberg can offer the necessary support to a growing customer base. "The countries of the MENA region have highly diverse technical and economic requirements. Despite a difficult political and economic climate, there are successful print shops supported by technology and services from Heidelberg and its distributors. We are proud that the leading print shops work with our equipment," explains Wolfgang Roth, who is responsible for distributors at Heidelberg. "And, we are seeing a general increase in the amount spent on digital and packaging printing," he adds. With a market share of over 30 percent for CtP, over 60 percent for presses, and over 40 percent for postpress equipment, Heidelberg is the industry's leading supplier in the MENA region. It is even seeing impressive sales of highly complex adhesive binder lines such as the Eurobind Pro. A total of over 7,500 one-, two-, and multi-color presses from Heidelberg covering all formats are installed in MENA countries. "Thanks to our long-standing presence in the region and our close cooperation with customers there, Heidelberg is the partner of choice for many new projects and significant expansions," sums up Roth. Located near Tunis, the newly founded packaging print shop Medpack is just one of the companies to decide on a complete solution from Heidelberg. It has invested in a Suprasetter A106 CtP platesetter, a Speedmaster CD 102-5+LX, Tunisia's first Speedmaster SX 74 four-color press with coating unit, a Stahlfolder Ti 36 and Ti 52, a Varimatrix 105 C die cutter, and a Diana 115 X folding carton gluing machine - the first in the whole of Africa. Medpack specializes in packaging for the pharmaceuticals industry and employs 30 members of staff on a site covering 5,000 square meters, making it Tunisia's biggest ever new print shop project. Founders Mustapha and Amir Messaoudi and Ridha Charfeddine are looking to become one of the best print shop in North Africa and supply international pharmaceutical companies with high-quality end products. They appreciate the consulting service offered by Heidelberg and its representative Comptoir Tunisien des Papiers, the high quality and productivity of its equipment, and the reliability of its service activities. 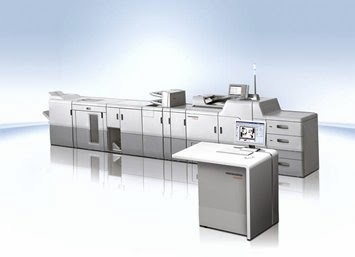 Early this year, Heidelberg Jordan installed the country's first Speedmaster XL 106-5+L at Central Press. 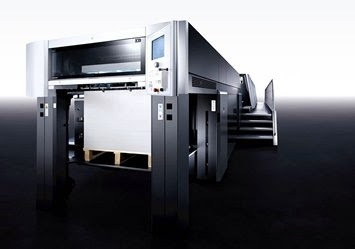 Yousef Hammad, Marketing Manager at Central Press, explains the thinking behind the purchase, which was concluded at drupa 2012, as follows: "The Speedmaster XL 106 is an important investment for us to take our business to the next level. The cutting-edge technology of Heidelberg presses now enables us to meet the demands of even the most discerning customers and respond to future trends." The new press joined a Speedmaster XL 105, a Speedmaster CD 102, and a Speedmaster CD 74 already in operation in the pressroom. Central Press Managing Director Maher Hammad is convinced that the new Speedmaster XL 106 will significantly boost productivity. "The press is ideal for the many different materials and long runs at our company and also for the frequent job changes we need to perform. The machine's highly efficient consumption of energy and materials was also a key factor in our investment decision," he says. A further plus point is the excellent service from Heidelberg Jordan. The Al Shurook print shop in Amman is expanding once again and investing in a Speedmaster XL 105-6+L, a Speedmaster SM 52-5-L, and a Suprasetter A105 platesetter with a Glunz & Jensen online processor. Both presses are designed for UV and water-based printing. Al Shurook specializes in packaging printing, with the main focus on foodstuffs and detergents. "Our aim with this investment is to strengthen our position as a premium printer in the local packaging printing sector while also opening up new opportunities on the export market thanks to an increased production capacity," underlines owner Mamoun Al Kotob. He has been quick to see positive results from the investment and is highly satisfied with the exceptional print quality, the increased production capacity achieved thanks to the high level of automation of Speedmaster presses, and the excellent collaboration with Heidelberg Jordan. Digital printing volumes are also growing in Egypt and North-East Africa, with customers expecting a quick turnaround for shorter and variable runs. In response to these requirements, the Youssef Allam Group, a long-standing Heidelberg agency, held a three-day open house event at the Print Media Academy in Cairo to launch the Linoprint C digital printing system. Sales and service activities for these systems will be the responsibility of the newly founded company Aim, a subsidiary of the Youssef Allam Group. "We are keen to advise customers and ascertain the best options for their particular business models. We can now do so using both offset and digital printing," stresses the Group's owner Adel Allam. Heidelberg used the open house event to demonstrate the possibilities for integrating offset and digital printing - especially with Prinect Digital Print Manager, which paves the way for a seamless workflow between the two technologies. A number of customers were so impressed by the digital printing system's productivity, color quality, and efficiency - not to mention the Youssef Allam Group's excellent service and reliability - that they signed a purchase contract for the Linoprint C then and there. Loftware, Inc., a global leader in enterprise labeling solutions, has announced its Loftware Spectrum 2 solution has achieved SAP-certified integration with the SAP NetWeaver technology platform. Spectrum is an all-in-one solution designed to address the complex labeling requirements for large organizations via a browser-based interface. The certification provides added assurance of compatibility for hundreds of global customers to run their businesses and supply chains with SAP® applications in conjunction with this Loftware enterprise labeling solution. The SAP Integration and Certification Center (SAP ICC) has certified that the Loftware Spectrum 2 solution interoperates with the SAP NetWeaver technology platform. Building on Loftware’s history of innovation, Spectrum is a robust solution that offers advanced label design, flexible enterprise integration, a powerful business rules engine, sophisticated device management, intelligent on-demand printing, and high performance native printing in a single software solution. A cornerstone of enterprise labeling is integrating with business systems that are the sources of truth for label data to automate mission critical labeling. “Loftware’s track record of providing SAP-certified integration is very important to our customers. This certification represents important validation of our commitment to the SAP ecosystem and to the community of global customers that Loftware Spectrum is designed to serve,” stated Josh Roffman, VP of Marketing and Product Management for Loftware. In addition to having SAP-certified integration with SAP NetWeaver, Loftware Spectrum provides users with the ability to support the complexities of enterprise labeling with configurable business rules. These business rules enable companies to dramatically reduce label maintenance, improve label change response time, and simplify maintenance in accounting for labeling variability driven by customer specific requirements, languages, regional standards, and evolving regulations. “Loftware Spectrum touts unlimited access, unlimited capabilities and unlimited possibilities. We look forward to the possibilities that this certification can bring to our customers that run their business using SAP applications,” noted Roffman. 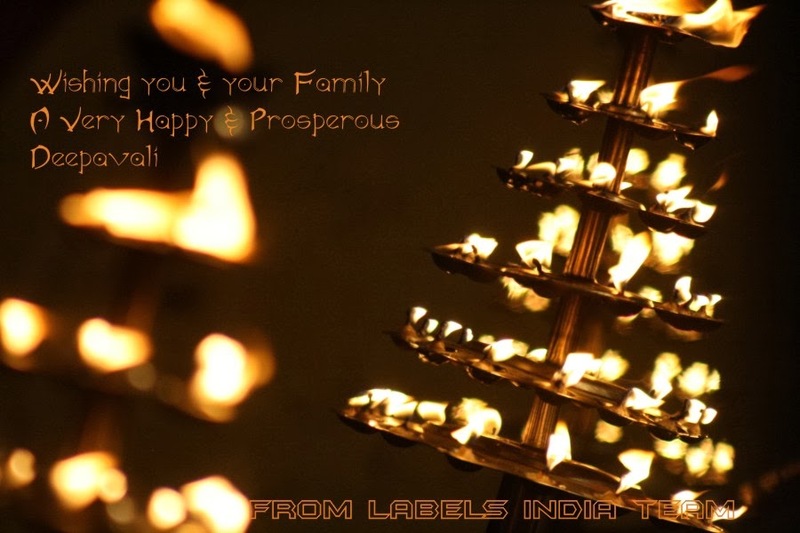 Loftware, Inc. is the global market leader in Enterprise Labeling Solutions with more than 5,000 customers in over 100 countries. Offering the industry’s most comprehensive labeling solution, Loftware’s enterprise software integrates with SAP®, Oracle® and other enterprise applications to produce mission-critical barcode labels, documents, and RFID Smart tags across the supply chain. Loftware’s design, native print, and built-in business rules functionality drives topline revenue, increases customer satisfaction, and maximizes supply chain efficiency for customers. With over 25 years of industry leadership, Loftware’s enterprise labeling solutions and best practices enable leading companies to meet their customer-specific and regulatory requirements with unprecedented speed and agility. MPS announced its debut participation alongside its Chinese distributor Jebsen Industrial at Labelexpo Asia 2013, held December 3rd-6th at Shanghai. The tenth anniversary and sixth edition of Asia’s biggest label and converting industry event promises to be the largest in its history. Show visitors are welcomed to stand G17 in hall E2 to learn about the recently broadened range of MPS flexo and offset printing presses from the EB, EF and EXL series, available in print widths ranging from 280 to 660mm. New extended EF multi-substrate flexo press line Unveiled at Labelexpo 2013, the extended MPS EF multi-substrate flexo press line, now available in three versions: EF, EF-APC and EF-APC Advanced, ranging in cost and level of automation. APC (Automated Print Control) allows pre-programming of print pressure settings and enables the press operator to store and recall repeat jobs. The EF press line is the premium solution for both labels and unsupported film materials for flexible packaging. The EF press from MPS is one of the most productive flexo systems in the industry. 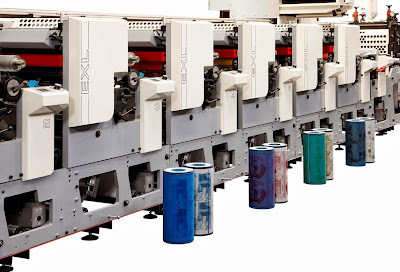 The EXL offset is a full rotary offset combination press for high-speed and high-end label production. The innovative press has variable sleeves for different repeat lengths. With APC on all pressure settings, MPS EXL offset offers the fastest job changeover, highest predictability and repeatable print quality available today in offset combination printing. The EXL packaging press is ideally-suited for wide-web flexible packaging printing, providing an economical alternative. It offers extremely quick change-over time and remarkably little set-up waste guaranteeing optimal printing and converting. MPS presses are designed with an absolute focus on the lowest cost price per 1,000 labels. Manufactured in the Netherlands, all MPS machinery meet the highest standards in terms of print quality and ease of use. Jebsen Industrial specializes in paper processing technology, printing and converting. Long established as a leader in Greater China, Jebsen Industrial’s strong market presence is supported by an extensive network of offices across the region to better serve their customer base. Helping industrial printers achieve lower wastage and greater precision are the end-goals of Jebsen Industrial, which represents a top-of-the-line range of coating machines and label printing presses in Greater China. As a complete solution provider, Jebsen Industrial also supports its customers with technical expertise and a suite of value-added services. Jebsen Industrial has a strong portfolio of specialist products and technologies including complete lines, stand-alone equipment as well as paper and plastic labeling solutions that range from presses, die-cutting units and accessories to screen printing plates. This is backed by the expertise to provide professional consulting services, staff training programs, and full maintenance support. MPS is the world’s fastest growing manufacturer of narrow-web label and packaging UV-water-and solvent based flexo and offset presses. In 1999 MPS introduced the first fully rotary servo-driven press in the label industry. Since then MPS has installed approximately 3,000 fully servo-driven print stations, printing self-adhesive labels and mono-film packaging. The majority of MPS machines are installed in Europe, with Germany as the leading market, in addition to other global market installations including the US, Japan and recently in China. Recognized as one of the leading North-European innovators in the narrow-web printing market, MPS presses are well- known for their durability, effective return on investment, and delivering high quality print.